I, like many users of analog writing tools, am a big fan of leather notebooks. Nothing beats the smell, the heft, the tactile sensation, and the air of importance lent to one’s writing by a good leather notebook. But leather-bound notebooks are, of course, expensive, and purchasing a new one every time I fill the pages is, at best, impractical. 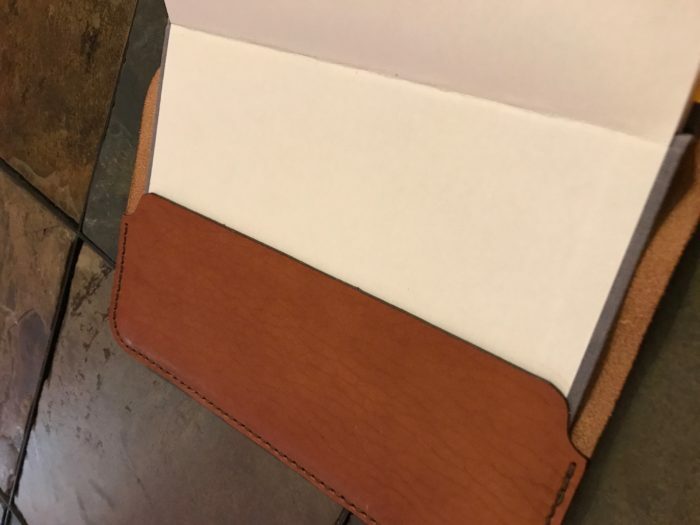 Fortunately, there are many great refillable leather notebook options, like the classic Midori Traveler’s system, and there are also plenty of leather covers one can purchase for Moleskines and other similarly sized notebooks. 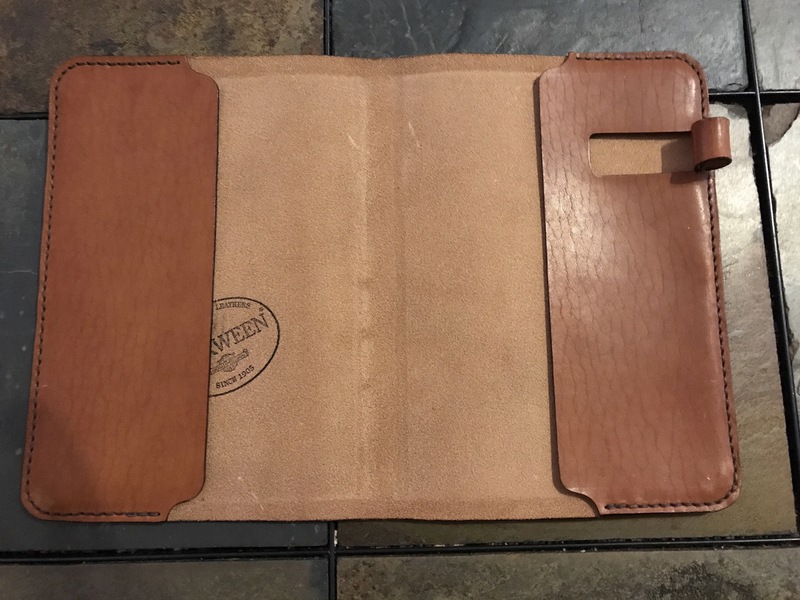 My daily driver, however, is the uniquely sized fabric-covered Baron Fig Confidant, and the leather cover options for the Confidant are slim. Baron Fig themselves make one, and although I haven’t used it, I’ve heard great things. It is, however, lacking a pen loop, and I really like having a pen loop. 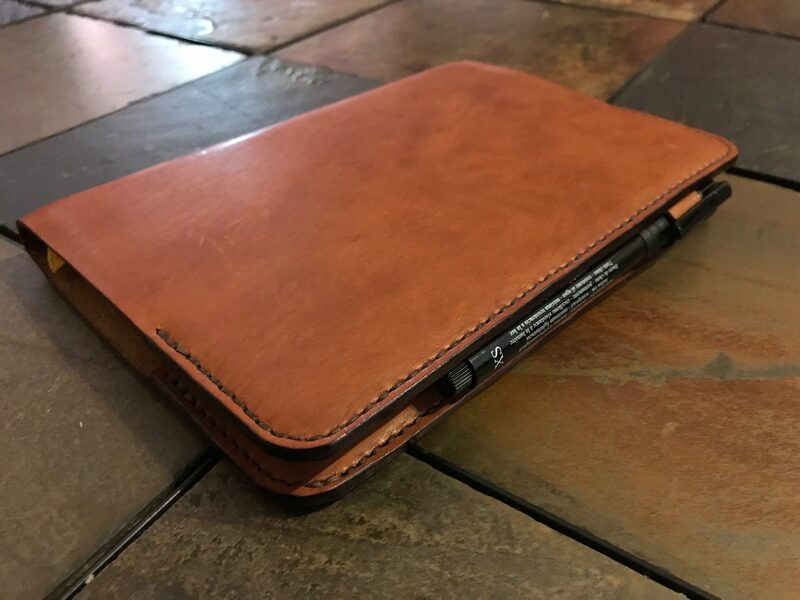 Enter Balabanoff’s handcrafted Baron Fig cover, which my wife purchased for me a few months ago as an anniversary present. This thing is gorgeous. It’s made from hand-stitched quality leather from the Horween tannery. I’ve been using it for the last few months, and so far it’s aging beautifully. One of my cats got his paws on the cover the day after I received it, scratching it a little, and the marks have faded and softened in the way that happens only with good leather, actually adding to the cover’s elegance. 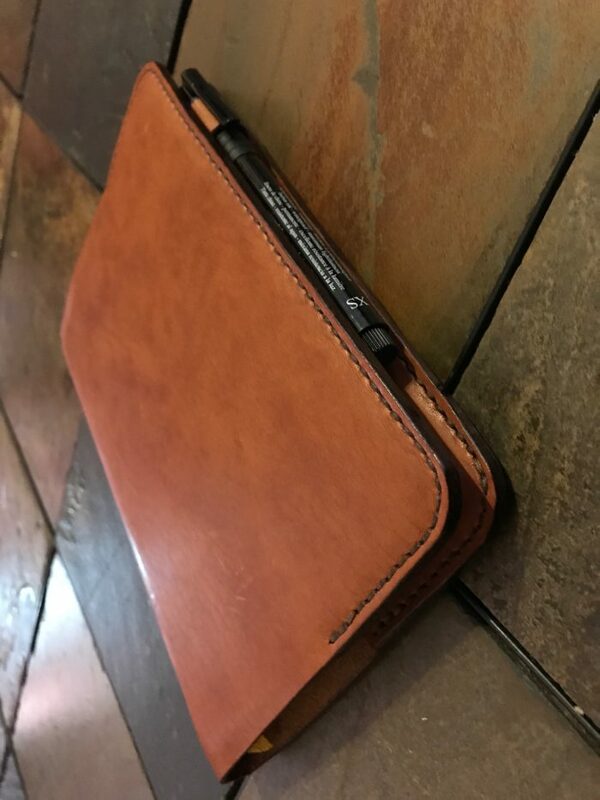 This cover, and other hand-made leather goods, like wallets, belts, and covers for several other notebooks, are available in Balabanoff’s Etsy shop. Because I live in the U.S. and Balabanoff is based in the Ukraine, shipping did take several weeks, but it was worth it. Highly recommended.